The true power resides in the “+”. Temenos+Agility is a combined experience of two parallels. We engage “Lean Agile Methodologies” & “Temenos Enterprise & Leadership Transformation models” to produce a healthy organizational culture. Susan works with Fortune 500 companies using Agile and Temenos to activate change and true cultural transformation. As a Temenos Facilitator, Susan also leads transformative 3-day labs that apply these same methodologies on a more personal level. She is a major contributor to Technical Agility Conference, Women in Tech (WiT) Regatta, Urban Campfire, G Day For Girls, and the STIA+Temenos Conference, as well as speaking at several organizational development conferences around the country. Her gentle insights are always perceptive and she has a knack for bringing together groups of seemingly incongruent teams. Susan is a nomad who loves traveling and learning about new cultures by meeting people from all over the world. She enjoys modern art, and seeing live performances of all kinds, including theater, dance & music. And, let’s not forget movies and books! With his 25+ years of experience with transforming enterprises, culture and leadership, Siraj has provided excellent change management coaching and leadership to large organizations from all over the globe. He is the author of the book “The Soulmate: The Poetry Book of Temenos” and upcoming book “The Temenos Effect: The Surprising Results of Wounded Healers Approaching the Transforming Enterprise, Culture and Leadership”. 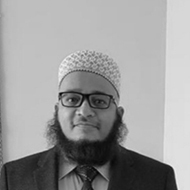 Siraj Sirajuddin founded Temenos in 2012 after two decades of intense experimentation and deep dives into the hard work of Enterprise Transformation. He is an MBA and one of the few global SPCTs (Scaled Agile Framework SPC Trainers). He and his team of enterprise change agents work with large and complex enterprises all over the world. He is a global nomad and travels between USA and Asia Pacific every month. Siraj hosts the venerable annual STIA+Temenos conference that is celebrated its 25th anniversary in the year 2016. He has two daughters and loves poetry, music, movies, singing and painting. 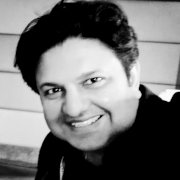 Ashish Mishra has over 24 years of varied experience across software development, corporate consulting and public domain training spanning countries like USA, Canada, UK, Germany, Denmark, Singapore, Hong Kong, Malaysia, Indonesia, Philippines and India. Over the period he has worked on number of projects as Business and IT executive coach, Program Director, Account Manager, Programmer and Tester. His core expertise lies in Business Agility, DevOps, Agile Development and Testing. He has been an early adopter of Agile, practicing XP and Lean development since 1996. He is the steering committee founder member of the Agile Testing Alliance (ATA) and DevOps++ Alliance. He has consulted and coached for companies like Air Canada, Barclays, JPMorgan, Deloitte, HSBC, Wells Fargo, Manulife, Polaris, Datamatics, MindTree, Ness Technologies, Persistent, iGatePatni and L&T Infotech besides running several public workshops. Ashish is a published author of the book “A Practitioner’s Guide To Test Automation Using Selenium” by Tata McGraw-Hill. He is also a certified SAFe Program Consultant of the latest revision of 4.5. 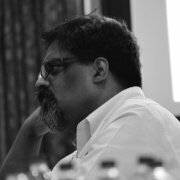 Arun is an Enterprise Agility Consultant at Temenos+Agility and has 22+ years in IT Profession; also an Internal Trainer for many Organizations worked in India, USA, UK, Sweden, Denmark & Belgium. He has a B.E Computer Science & Engineering degree with Executive MBA in Project Management. 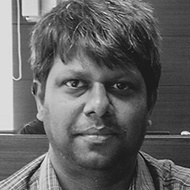 Arun is an active learner-implementer of Agile Practices & Agile Consultant with CSM, CSPO, CSP, Lean Implementer, DevOps, IC-Agile Coach, SAFe 4.6 (with SA, SSM, SASM, POPM, SDP, SP enablements), Technical Agility & DevOps - concepts to implementation. Arun has worked in Startups, MNC with geographic locations in India & US, International and has worked in many multinational organizations and domains like Telecom, Banking, High-Tech, Financial, CoE and internally trained, coached and transformed many teams on Agile-Lean Foundations, Technical Agility, Business Agility, and Enterprise Agility, Scaling Agile Concepts for Implementation. Arun is an early adopter of Automation for Build & Release with evolving Software Release Methodologies and comes with more than 15+ years hands-on Software Development, Building & Releasing, Managing World-Wide Releases and Administration of various tools, processes and practices with people management as the core for developing capabilities. He has automated Telecom, Banking, Financial and High-Tech industry processes and enabled faster time-to-market with business-benefits through quick feedback & learning cycles and continuous delivery pipeline. 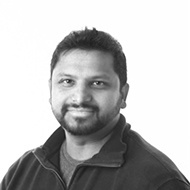 Sesha (Phonetic: Say-shah) has over 18+ years of experience in IT including development, Business Analysis, Project and Product Management skills, and certifications. Sesha, an evangelist for Lean-Agile thinking strongly believe that Agile transformations rock! when Lean-Agile values and principles form the basis of transformation. His work experience scales across various domains like Education, Pharmaceuticals, Finance, Manufacturing, and Airlines. Sesha is a strong believer in meeting the teams and organizations where they are and together walk thru the continuing success of the transformation by assisting the teams as a Trainer, Mentor, Facilitator, and Coach. He has trained over 50+ teams in various frameworks with Lean-Agile values and principles as core competencies of the training. Sesha is an avid golfer and doesn’t like to miss an opportunity to play around. Dr. Barjis is an international speaker, author, presenter, trainer, coach, professor in the heart of Silicon Valley (SJSU). With 20+ years of technology, business acumen in consulting, R&D, training, and teaching, he is a thought leader and expert in Agile Enterprise Engineering, Lean, Agile, Systems Engineering, Organization Design, Predictive Analytics, Software Development, Information Systems, Supply Chains, Healthcare, Banking & Financial Services. He is a seasoned expert in large-scale Agile Transformations, Change Management, Executive Training, and has experience in DevOps and BDD, including co-authorship of the SAFe® DevOps exam with the Scaled Agile Academy Inc.
Dr. Barjis fully prepared and launched or observed and supervised a dozen Agile Release Trains, Solution Trains, and PI Planning events with Fortune 500 companies. His global experience spans from Europe to Silicon Valley, from start-ups to Fortune 500, from top consulting companies to top research universities. Throughout his career, he developed, coached, trained, and taught certification courses (SAFe® courses, Scrum, Enterprise Engineering) from team to executive levels. With over 18 years of experience in the ever-evolving Software world, Shivram has a rich experience in Software Projects Consulting, Test Management, and Corporate Training. 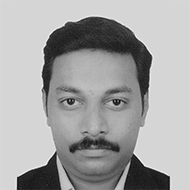 Shivram’s core expertise lies in ALM, Test Automation, Test Performance, and DevOps. Having worked on both captive and consulting firms, Shivram has established Testing Practices from scratch, created Automation Frameworks using Opensource tools and has successfully implemented ALM tools. Shivram’s passion for technology has resulted in co-authoring an ebook on Selenium and has also helped him conduct Selenium workshops in International Conferences organized by UniComm and Agile Testing Alliance. Shivram is part of Technical Agility team in the Temenos+Agility family and works with its clients to successfully implement various tools and practices to help achieve the overall vision of Enterprise Agility. With over 20 years of experience in the tech industry from development to managing application and business transformation. 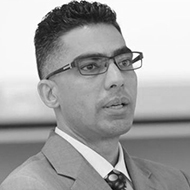 Anis Abbas is an experienced and well-qualified consultant and trainer on various Lean, Agile and leadership subjects. He has trained hundreds of like-minded professionals in Agile across the industries. His passion of Being Agile and relentless pursuit of a lean mindset enables him to be a charm as a trainer, coach, and facilitator. Anis has collective experience in the field of Aviation, IT, Business Intelligence and Agility transformation projects. Consulting on Value stream identifications and Agile product-based delivery are his added areas of expertise. Anis works with world-leading aviation company on Lean-Agile transformation and Business Intelligence solution. He also leads Agile, Kanban and DevOps Certification workshops. He enjoys training and transforming minds. Significant initiatives include the Collens and Presidential Scholarship for the Chicago Public Schools and the City Colleges of Chicago (2008), the creation of the Global Leaders Program (2008), the launch of the St Lucian Visionaries project (2010), and the establishment of the IIE Syrian Higher Education Consortium (2012). In 2017, Student Employment Office was named Illinois Tech's "Department of the Year " for the reimagination of its training modules and programming; moreover, Doyle prototyped Illinois Tech’s inaugural work in the areas of Continuous Improvement and formed the Office of Inclusion, Diversity, and Employer Engagement. 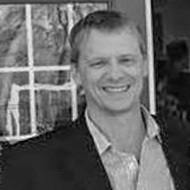 In Career Services, Doyle co-created a series of innovative approaches including a Faculty Innovation Grants program, a peer career coaching model, courses such as "Dragon Slayer - Designing YOUR Future" and co-authored several “works-in-progress” including Conversations of Inquiry and Nine Questions for Leadership in Life and Work with colleague Scott Downs. Doyle holds a bachelor’s degree from the University of Chicago in economics and an M.Ed. from Harvard University’s School of Education. 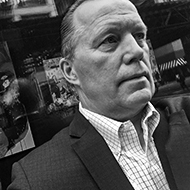 Grounded in Chicago with extensive international experience, Doyle embraces equity, inclusion, diversity, and well-being to guide leadership in life and work. 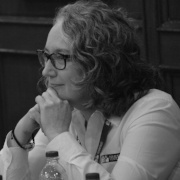 An innovative and mission-driven educator, Doyle co-creates strategic initiatives that deliver a research-driven and student-focused approach to learning and career outcomes. Community organizing and capacity building organize co-participatory decision-making. Jerry is known as a passionate high energy executive with a reputation for innovative leadership. With 36 years of professional experience, he’s led in key areas including strategy, offerings, business development, account management, complex delivery, client relationship, contracts, engineering, and operations. He has compiled patents and publications in technical and management disciplines. Jerry displays a keen sense for reading between the lines, anticipating client needs and galvanizing client demand. Early in his career, he held a dozen engineering and management leadership positions over 13 years in high tech manufacturing which led to a wild duck assignment to invent next-generation equipment for a top client. As a result of this success, the client nominated Jerry as the account exec to lead their $325M mfg. services portfolio. With a knack for identifying, seeding and growing businesses, in 2003, Jerry leveraged his leadership position on a $25M complex appl. development engagement to pioneer new technology and enable accelerated program delivery. He patented the technology and wrapped it with consulting services to create a new cross-sector practice that he propelled to success for more than a dozen years. 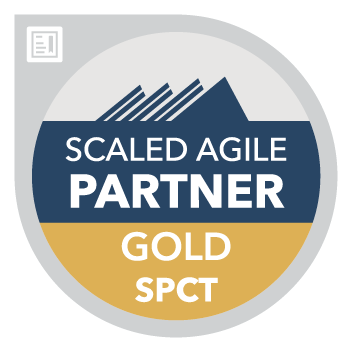 Never shy of a new challenge, in 2016 Jerry was nominated to establish a new Agile Center of Competence for his business unit’s NA operations in support of global agile professional services. During this time, 15k+ employees and $1B of services were transformed to agile delivery. In 2018, he launched Agile Enterprise Advisory recognizing the need and value for business agility, cultural and scaled agile enterprise transformation which he shaped into a multi-million dollar consulting services business.